The CloudZ Sleepers line by Palliser offers some of the finest sofa beds on the market. CloudZ Sleepers are available in three distinct styles and two mattress sizes. Cloudz Sleeper mattresses offer an unbeatable five inches of foam comfort, guaranteeing an excellent night’s rest for you or your guest! All Palliser Cloudz models are fully customizable in a wide array of designer fabrics. 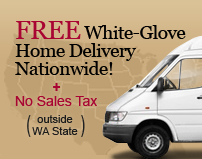 We also offer a number Quick-Ship models, in stock and ready two ship within approximately 7-10 days. What are you waiting for? Check out our entire selection of CloudZ Sleepers below! Have you ever slept on a cloud? No? Well, here’s your chance. 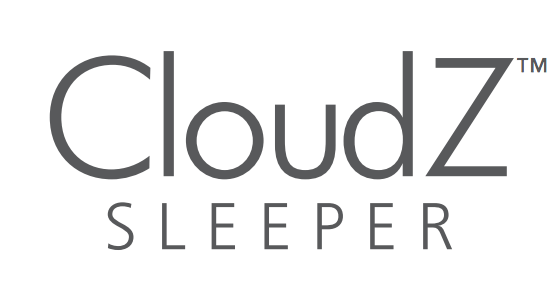 CloudZ Sleepers from Palliser provide one of the best sleep solutions available. CloudZ Sleepers contain an innovative mattress with three distinct foam layers. The first layer provides one inch of Gel-Infused Memory Foam. This gel layer disperses heat, ensuring a cool, comfortable night’s sleep. A one-inch middle layer offers extra cushioning, while a final three-inch layer of High Density Foam provides unbeatable comfort and support. CloudZ Sleepers are made exclusively with Certi-PUR-US approved foams. These foams have been tested rigorously, ensuring high physical performance and low environmental impact. CloudZ Sleepers provide comfort, style and convenience in one compact package. Palliser’s patented mechanism is exceptionally easy to open and close, and pillows stay attached during the process. CloudZ Sleeper sofa arms are removable, allowing for easy moves, even in the tightest of spaces. CloudZ Sleepers are available in three styles; the California, Kildonan, and Swinden. All three offer transitional design and timeless comfort. The California is marked by narrow track arms,the Kildonan has slightly wider track arms, and the Swinden offers more traditional rolled arms. CloudZ Sleepers come in European Full (55” x 78”) and European Queen (63-78) sizes. Cloudz Sleepers are 84” in overall length when the bed is in the open position. Like all of our products, Cloudz Sleepers are fully customizable in a excellent variety of upholsteries. After selecting a model, enter the Design Center to browse through our large selection of fabrics and find the perfect look for your home decor. You may feel like you’re dreaming, but you’re not! Palliser Cloudz Sleepers are as real as can be. Scroll up to find your ideal sleeper now!